This book is really great. It follows the story of Pea, a girl who’s just moved all from Wales to London because of her mum’s job through her struggles to find not only a friend but a best friend. This book is really really funny. very good quality book! wierd name for a girl though! i love this book. pea is going to move to a new house. This was a terrible book.I really didint like it.I did not understand it either,all the people were confusing. 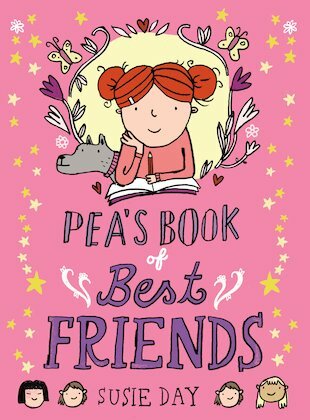 This book is about a girl called pea who is moving house and needs to make new friends. I loved the characters in this book because they all have their own personality and a sense of humour. They made me laugh (alot!) This book is mostly for girls about 8+. This book is special because it is a funny and great book. i love this book so much.